This Build History is done with the intent to be as accurate as possible within the limitations of the Senior Editor. The main pages on this site are: the Bricklin SV-1 page ( Home Page ), the Production Each Bricklin SV-1 page, and the Bricklin SV-1 Numbers Built page. If it were not for these 3 pages, this site would likely not exist. The 1974 Build History was done with ( 2 ) different 1974 factory build histories. One is partial, the other is complete. There is minor conflictiing information on the two 1974 build histories. 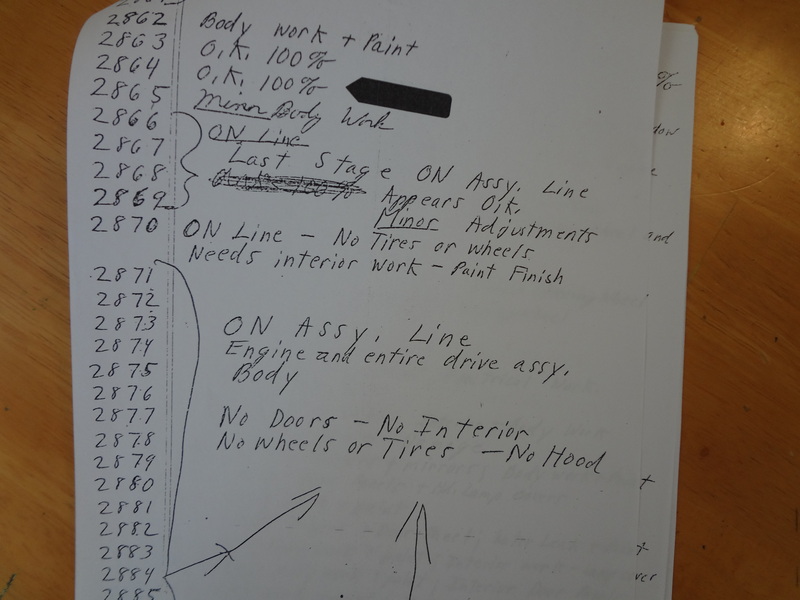 Both 1974 factory build histories end with Bricklin SV-1, VIN 772. If you find an error, please contact me. The 1975 Build History was done with a partial 1975 factory build history that goes from VIN 781 to VIN 2312. Also many Build Scheduling Orders were used on the later cars after VIN 2312. Observed SV-1's over the years, plus information gleaned here and there, plus the main use of solid color runs in the 1975 model year, were used to estimate the cut off points where one production color run stops, and another begins. Again, if you find an error, please contact me, so I can correct it. As near as I can tell, on the 1976 Bricklins, VIN's 2881 and 2882 were pre-production 1976 Bricklins, with VIN 2883 being the first production 1976 Bricklin. The very last 1976 Bricklin is Safety Green, VIN 2914. 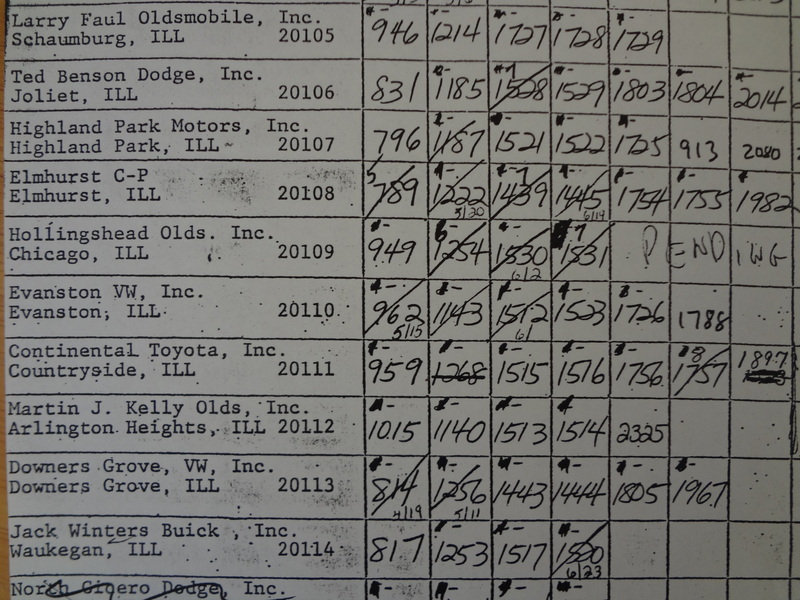 VIN 2914's data plates are stamped as Safety Suntan, however from a conversation going back to 1978 from a reliable source, and after having personally seen, photgraphed, and inspected the car in November 2008, I am certain it is a Safety Green Bricklin, and am confident it was built with an acrylic green body. At this point in time, the 1974 Build History is thought to be extremely accurate. The 1975 Build History is thought to be very accurate. The 1976 Build History is thought to be extremely accurate. 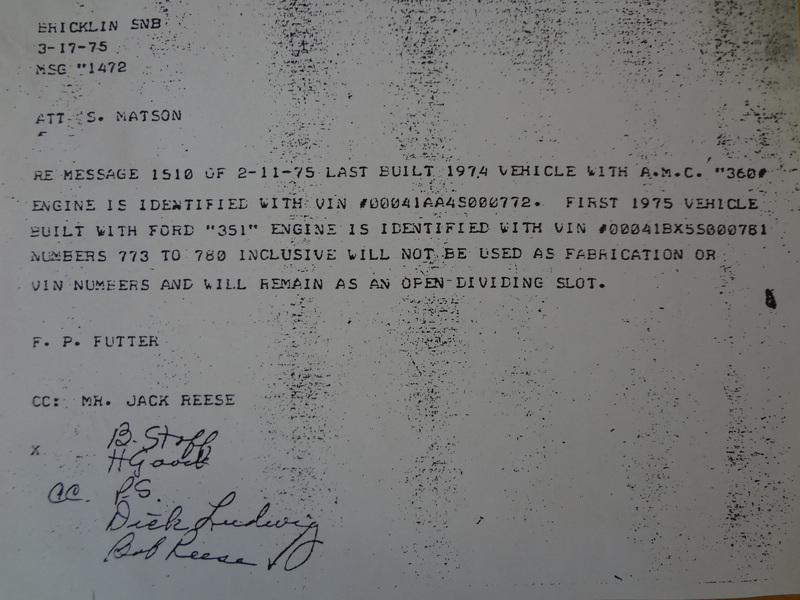 On the 1975 Factory Build History, VIN's 1954 and 1955 do not appear. It goes from VIN 1953 to VIN 1956. For the purposes of this site, both 1954 and 1955 are assumed to have been built, and are both counted as 1975 Safety Green Bricklins. As with any manufacturing process, errors occassionally occur. 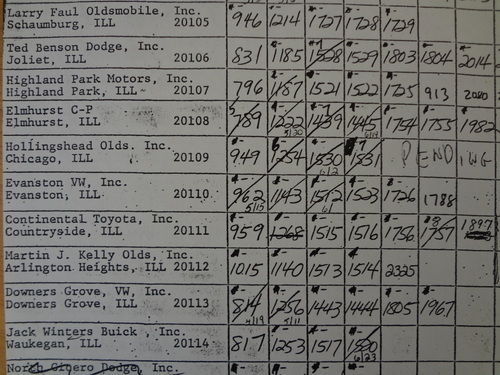 I have seen a picture of the door data plate for VIN 2874. The year is stamped "6", indicating a 1976 Bricklin. This is thought to be a typo made during the stamping process. 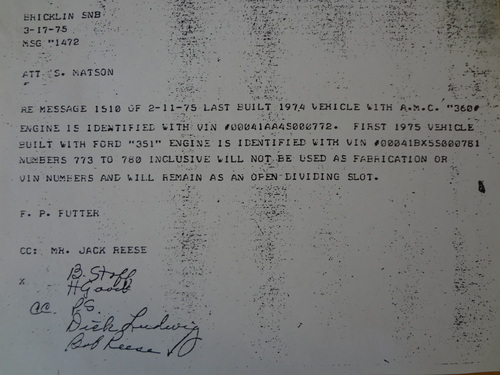 Around 1979, I saw VIN 1932, and observed both the door and dash data plates. One was stamped "3" for the color, and the other was stamped "2" for the color. The car is a "2", Safety Green Bricklin, and not a "3", Safety Orange Bricklin, as factory built. 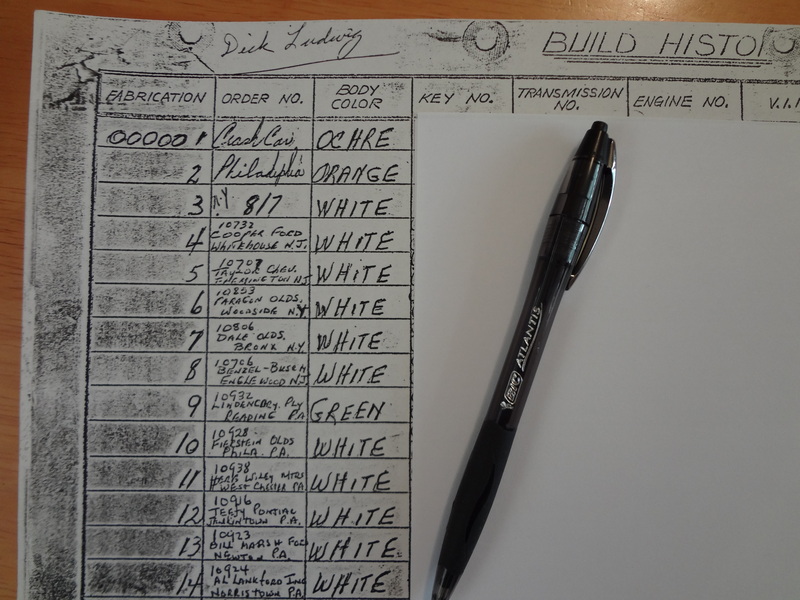 With good, reliable, information that arrived in the last half of 2012, the Production Each Bricklin SV-1 Page, and the Numbers Built Page, are now thought to be better than 99% accurate. 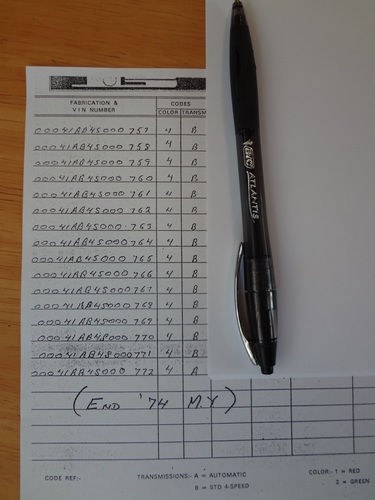 Observed Bricklins over the years have been checked against the factory Build Histories for accuracy.